Are Artists Finally Profiting From the Streaming Era? Lil Pump is among a handful of young rappers earning big paydays as the record industry’s revenue surges. But there are still lots of musicians waiting to get paid. In August 2001, Whitney Houston signed a eight-album, $100 million contractwith Arista Records, then the largest record deal in the history of the music industry. It was an agreement premised on the prosperous past, not the starkly different future. Houston recorded only three more albums before her untimely death in 2012. Arista went through various corporate reshufflings until it was shut down in 2011. And the music industry was just beginning a decade-long tailspin that would wipe out half of its revenue and make the artist megadeal as archaic as the compact disc. 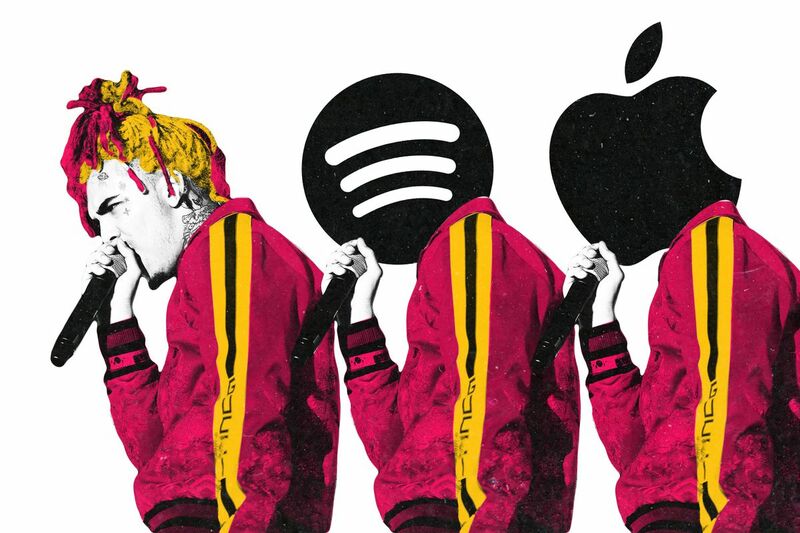 In recent months, though, echoes of the fat-cat days of the ’90s and early 2000s have reemerged as major labels make big bets on young stars propelled by the internet. One of the biggest windfalls so far has gone to Lil Pump, the 17-year-old Miami rapper who reportedly signed an $8 million deal with Warner Bros. earlier this month. Pump, whose single “Gucci Gang” climbed from SoundCloud to no. 3 on the Billboard Hot 100, sparked a bidding war among the major labels, after his initial deal with Warner was voided due to his status as a minor. His payday signals that the money-making machinery of the record industry is revving up again, both for top-selling artists who are pulling in substantial revenue from streaming and the labels basking in their generous cut of the profits. At the same time, though, there’s evidence that the amount of money generated per stream is actually trending downward, putting pressure on both labels and artists to create music that scales to a huge audience. Spotify, which will go public in the coming weeks, has transformed the music business into an ocean of pennies that’s finally turned lucrative for the winners. But it may be getting tougher for less prominent musicians to stay afloat at the very same time. In the first half of 2017, the U.S. record industry enjoyed 17 percent jump in revenue over the same period the previous year, according to the Recording Industry Association of America. That followed the biggest spike in revenue in almost 20 years in 2016. The industry’s decade of misfortune is quickly fading in the rearview mirror thanks to streaming, which not so long ago was the bogeyman threatening artists’ livelihoods. People like Taylor Swift, Radiohead frontman Thom Yorke, and Talking Heads founder David Byrne have all disparaged Spotify with varying levels of vitriol. But all of them now have their most recent projects available on the service. The industry’s bogeyman has become its savior. Even Lil Pump’s deal, while valuable, reflects a certain aversion to risk by Warner. While the rapper will reportedly get an $8 million advance, his contract only grants him annual payments of $9,000 to $15,000 over the next seven years, according to TMZ. Warner seems confident in the rapper’s ability to capture the internet’s fleeting attention today, but less so in the future. Outside of the major-label universe, Spotify may actually be making it more challenging for artists to earn a decent living. The company’s stated goal is to provide a living for a million creative artists, but the ways it distributes and monetizes music hardly make that a guarantee as it scales. Spotify affords the three major labels and Merlin, an organization that represents independent labels, certain perks such as marketing support and advertising inventory. The platform’s major playlists similarly reward power players—according to research by the music website TrackRecord, 87 percent of the songs added to Spotify’s RapCaviar playlist in 2017 came from the three major labels. Forty-three percent of the songs were added to the playlist the day they appeared on Spotify, indicating that their popularity was preordained rather than crowdsourced. Like many technology companies that are reshaping our world, Spotify has a habit of reinforcing feedback loops. Hit the virtuous cycle at just the right moment and you’re Drake. Fail to tap into a growing audience and you could see your paychecks dwindle as streaming rates fall. Lil Pump was lucky, but there’s a thousand other artists toiling away on SoundCloud, awaiting a big payday. More than one person I talked to equated hitting it big on streaming to winning the lottery.